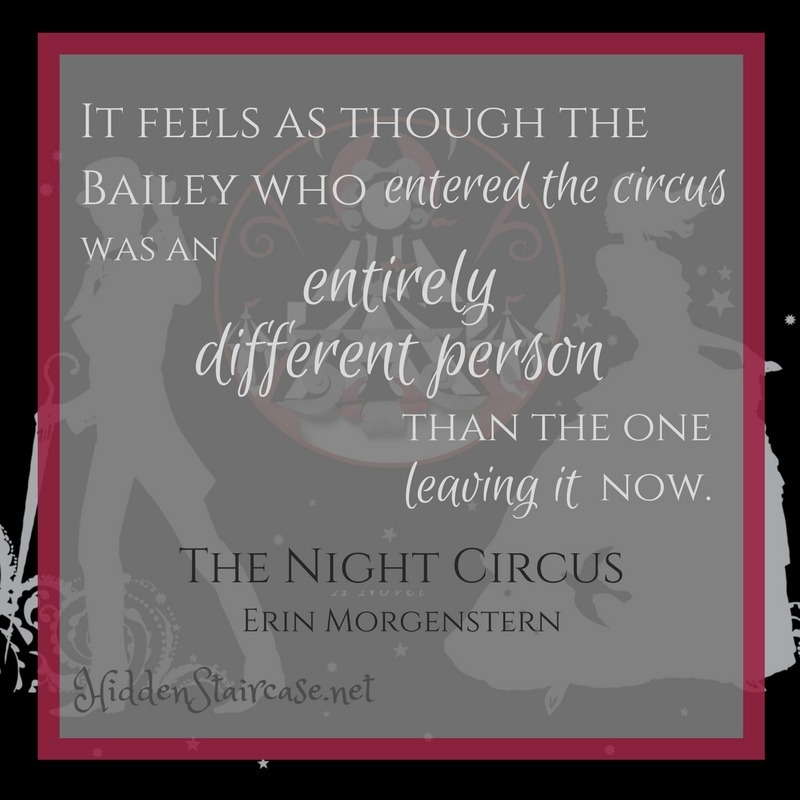 The Night Circus is one of those books where I have trouble putting into words just how much I loved it. The descriptions, the settings, the characters, the plot. I loved it all. I listened to the audio book, which was narrated by the fabulous Jim Dale, and his narration just added to the richness and wonder of the story. The Night Circus pits two magicians, Celia and Marco, in fierce competition. The fantastic Le Cirque des Reves serves as their stage, unbeknownst to the others working at the circus and it’s visitors. Only Celia, Marco, and their instructors are aware of their contest, and even Celia and Marco do not fully understand what is at stake. The tale is told through three different lenses, if you will. The main story is that of the two magicians. Peppered through this are accounts from different minor characters as they interact with the circus. Although these characters are minor to the magicians arc, they are important elements in the storyline itself. And finally, woven throughout the tale is a lovely description of the reader’s visit to the circus. How you arrive, what you see when you enter, the sights and smells, the different tents. Now, I’ve read some reviews from people who did not enjoy this book because of the level of detail provided. I can understand that viewpoint. Sometimes you just want to get to the heart of the matter. But I personally loved the descriptions. Ms. Morgenstern created a world that I truly wanted to step into. She wove such a tapestry that it was difficult to stop reading. I loved this book from beginning to end, and was sad when I finished it. By the end, the circus itself becomes the most important character. I think regular visitors here at Hidden Staircase know that I actually buy very few books — I get the majority of my books from the library. This was one of those rare books that I bought my own copy of as soon as I finished reading my borrowed version. I know I will want to read it again. 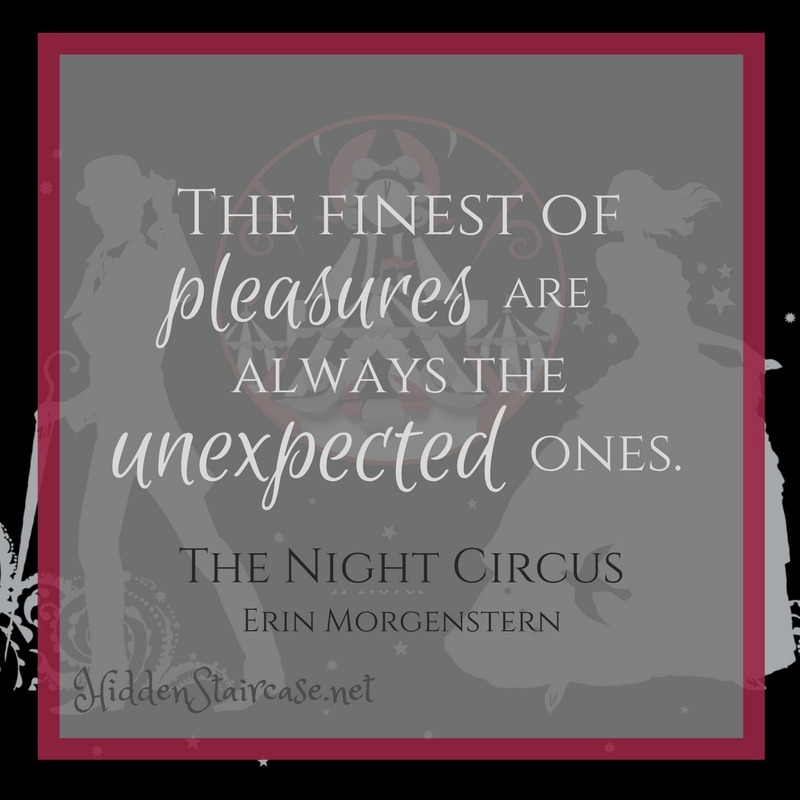 The Night Circus truly was an unexpected pleasure. This sounds wonderful; this is a glowing review—-it must be a wonderful book.